We have been travelling around our resorts catching up with our instructors and gathering as much local info as we can. We have already completed a tips for skiing in Tignes. Next stop is Courchevel. Here are our tips for skiing in Courchevel. This is a great tip for any resort. Always make sure you check the piste print out for Piste de Jour. This is the piste that the pisteurs believe to be the best prepared for skiing. Usually because it is the most groomed run of the day. You can always be sure that if you head for this first thing you will be benefiting from optimum conditions. 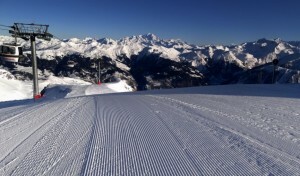 The chosen Piste de Jour is on the pisted run report form. This is an A4 sheet pinned to the main piste maps signs. It is all important, and very easily overlooked! In Courchevel you will find this at the top of the Ariondaz Bubble in 1650, at the top of the Le Praz bubble, and on the electronic piste map outside the Croisette building. This report also tells you what has been pisted overnight so once you have made the most of the Piste de Jour, you can make sure that you only ski the very best of Courchevel’s pistes which, considering you are in one of the best resorts in the world for piste care, it should mean you have lots of options. During busy periods Biollay is by far the busiest lift. Definitely one to avoid if at all possible during your holiday, and don’t forget to use the singles queue when it is busy. It may seem boring to go on the lift separately but you will be at the top in not time! Courchevel 1650 stays in the sunshine until later in the day, so it is great place to head for skiing after lunch on a nice day. 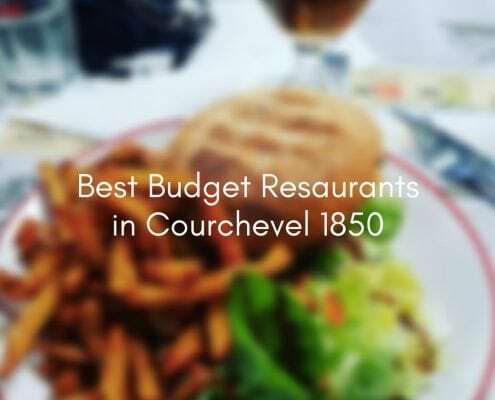 Courchevel 1650 is often much quieter than Courchevel 1850. It has gentle rolling slopes which are mostly blues – perfect for intermediates and nervous skiers, or for more advanced skiers who really want to practice their carving! If you do like your red runs make sure you don’t miss Chapelets. This is definitely one of our favourite runs (in fact I nearly didn’t write this as we didn’t want to let the secret out). This is something you can get really wrong in Courchevel, or perhaps really right depending on which way you look at it. This is because some of the famous mountain restaurants have simply amazing food, and at a simply amazing price. However we thoughts we would pick a couple of options for every ski holiday style. Top of Creux Noir. This is the highest point in Courchevel and the view is incredible. There is also an inside picnic room at the top of the Verdons bubble. 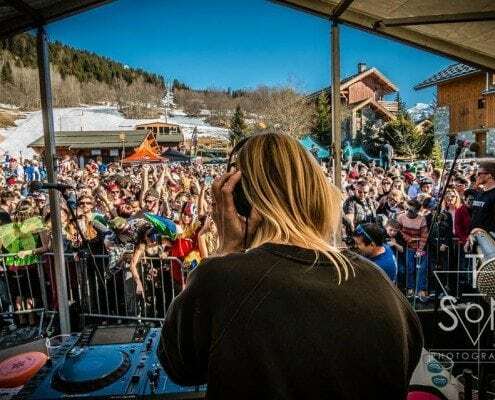 As Courchevel is on a few levels a little local knowledge goes a long way when it comes to knowing where to head after skiing for Apres. Hotel Les Peupliers. This hotel is famous for its Vin Chaud. A secret recipe that you most certainly not be able to tease out of the owners. They also have a lovely warm and cosy sitting room downstairs to sit and enjoy it. 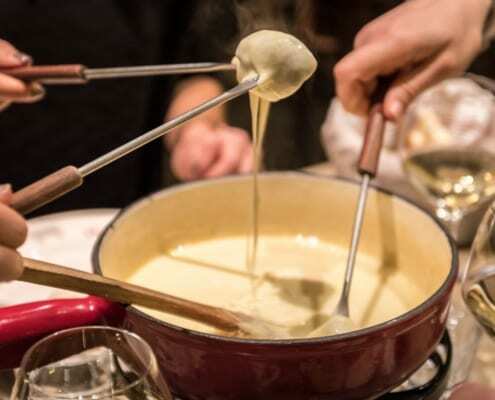 Cave de Lys – Another well-kept secret, this little French wine bar is behind the church hidden away and is a great place to go for a glass of wine and some local delicacies. 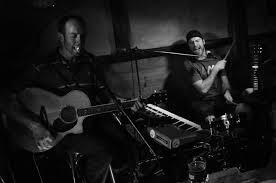 The Boulotte and Rocky’s bar are both famous for their après live music. Look out for their boards outside these bars which will let you know which nights to head there. 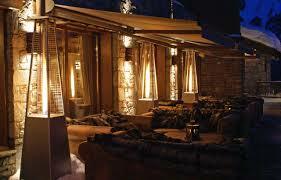 Fire and Ice bar (Portetta Hotel). Best for affordable chic après. 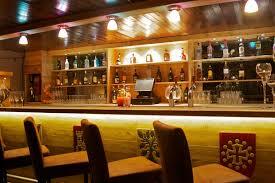 Try one of their specialist shots or even a yummy stone fired pizza while listening to live bands on the terrace. All while sitting under a cosy fur rug. It doesn’t get much better than this! Kudeta (1850) – the highlight of the 1850 après scene. St Louis Hotel – 30 second stroll from the Bellcote piste this hotel has a great cocktail bar and live band on a Friday evening. 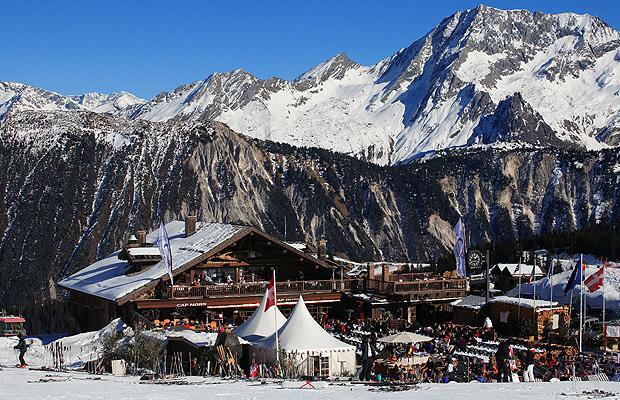 For a more intrepid apres session then you can head to Meribel for two of the world’s most famous apres spots. Folie Douce (Meribel) which is more of a cabaret style wild party. Last lifts back to Courchevel at 4.30 which means just enough time to sample these well know party spots.